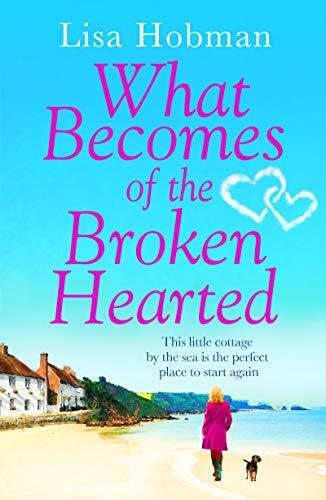 So, this story…I’d loved Lisa’s A Year of finding Happiness, the only other book of hers I’d read, and was hoping for something similar, romance, with a solid story and some drama. I did get it but…in a much more muted way. I couldn’t see why Cassie ever thought she was in love with Seth in the first place, he was clearly so arrogant and supercilious, and when he’s caught out his reaction is exactly as you’d expect. I also wondered why Seth was with Cassie. Did he ever love her or did he just want a complaisant wife he could mould, as he clearly was already shaping Cassie’s day to day behaviour. I like to think he loved her at the start at least, and just maybe it was Cassie’s low self esteem that let her stay with him when clearly he was trying to change her. Then That happens, and Cassie’s off. Wow girl, you go! I was cheering her on even while I could feel her heartbreak, and up til now things kind of went as I expected. When she reaches the new home though she’s really a first class b itch to Mac, she’s hurting I know, but it wasn’t Mac that hurt her. They have a few not so good interactions, but slowly she opens up, and Mac tries for a fresh start and to help her. He’s a genuinely kind man, one of the good guys, and for all Cassie’s rudeness he sees she’s hurt and still looks out for her. I loved Mac. And his uncle Rab, they felt like people I’d love to know. Cassie – well, I so felt for her at first but she was so outright rude to Mac I got cross with her. I hate plain rudeness. Looking back at A Year of ….I can see what I enjoyed about that, and its the drama and the unpleasant ex that topped the story for me. We’ve both of those here, but Seth somehow didn’t engender the same feelings. I guess I felt the drama in the later part of the book just didn’t fit the character I felt he was, whereas in A Year of it was exactly what I would expect Alice to do. The actual drama itself was fine, added to the story, and worked to move things forward. I adored Rab, was so emotional over him, the village setting and characters were perfect, Mac was just wonderful, Cliff gets a special mention, and an extra helping of imaginary dogs treats 😉 I guess its just the Cassie/Seth relationship and the actions that sprung from it that didn’t work so well here for me. Its a good read, but unlike a Year of, it was one I could, and did, put aside at times for other things. I did love the ending, kitsch, but still just perfect and left me feeling a little choked. The magic moment all we romantics dream of! Its a perfect beach read, or one for those times when you need a story you can pick up and put down for a while, but it wasn’t a must-keep-reading five star for me. Stars: Three and a half, some really great elements let down for me but a few things that felt out of place. As ever though, that’s just one opinion, it will be perfect for others.